Import peak season has come to an end and harvest is upon us once again. The imbalance between imports and exports in the US creates challenges and opportunities to overcome obstacles. Many of us who have worked in the industry over the years find opportunities to make it seamless for our employees and clients. Utilize the resources within the MGTA to learn, enhance skills and teach others. Our upcoming seminars offer the ability to grow, further develop skills and provide great networking opportunities. Please join us for one of the upcoming events; we look forward to seeing you soon. Please join us for an evening of networking and fun, just because! Catch up with old friends and meet some new MGTA members. Appetizers will be provided, cash bar on site. No agenda for this event, we just miss you! You will get an overview of the classification system using the HTSUS for inbound and outbound shipments. The seminar will also cover the General Rules of Interpretation, section notes, chapter notes, subheading notes, explanatory notes and the CROSS system and the role each plays in classification, and Other Government Agencies (OGA), You will gain practical experience, facilitated by industry experts, classifying various items using the HTSUS. The MGTA Special Events committee is excited to announce the new location of the 2015 MGTA Annual Meeting and Dinner! Join us at Pinstripes in Edina for good food, great networking, and a chance to win a number fabulous door prizes. Nominate your organization or another worthy enterprise for their import/export endeavors in 2014. Don’t miss out on this excellent opportunity for special recognition and promotion! View application details. U.S. agricultural exports to China have increased by 120% since 2008, to nearly 28.9 billion dollars in 2013. Agriculture now accounts for nearly 24% of US-China trade . Since China’s admittance to the World Trade Organization (WTO), China and the United States have increasingly traded their comparative advantages. Daily, Chinese made iPads, Lenovo computers, Nike sneakers, and other material trappings of American consumerism arrive in U.S. ports, where they are unloaded and then returned filled with U.S. grain products like soybeans and corn. But in November 2013 the system began to break down, as corn exports to China came to a halt. What caused this halt was the discovery by China’s Inspection and Quarantine Services (CIQS) of an unapproved genetically modified corn varietal called MIR-162 in imported shipments. Import permits began to be denied, and US corn exports to China gradually decreased to nothing. Grain merchandisers and U.S. farmers were horrified, as the fastest growing market for U.S. corn closed its doors. Agribusiness companies and Chinese importers were quick to react, replacing corn grain as the number one U.S. export to China with a corn based ethanol byproduct called distiller dried grain with solubles (DDGs). For a time it seemed that American grain merchandisers had found a solution to China’s ban on U.S. corn with DDGs, but this “solution” was short-lived. 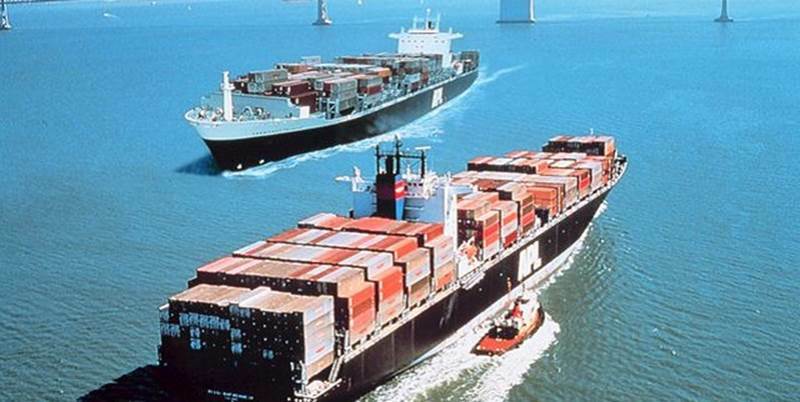 In the spring of this year China stopped returning import permits for DDGs. After months of confusion, the U.S. Embassy in Beijing on July 24 received a short message stating that “U.S. DDGs imports must now be tested at origination for the unapproved gene MIR-162.” In the space of a day, traded corn prices dropped by more than half. Shortly thereafter the USDA issued a statement asserting that there is no reliable, affordable method of testing for MIR-162 in DDGs, nor is there even a regulatory body in the United States with the manpower or funding to conduct such a test, even if one existed. In other words, what China did on July 24 was to ban importation of all U.S. corn based products. Why did China do this? Sino-U.S. relations are at one of their lowest points since before China’s period of great opening up. In light of recent events involving Apple, Microsoft, GSK, Cisco, KFC, Starbucks and many other American businesses in China, it would not be out of bounds to view China’s ban on U.S. corn imports as punishment for worsening relations. The National Grain and Feed Association (NGFA) estimates that China’s ban has cost U.S. farmers and agribusiness firms nearly three billion dollars. U.S. farmers could be hit especially hard during the upcoming year, with larger than average corn yields anticipated, and more new unapproved GMO varietals in the ground. But what is often lost from the punitive argument is the Chinese side of this story. In 2,500 years of historical records, famines were observed in at least one Chinese province every year up until the mid-20th century. While in modern times greetings like, “你吃饭了吗”？, or “have you eaten?” have become a signal of a person’s rural upbringing, they are still indicative of the powerful impact of food insecurity on Chinese psychology. It is this history that leads China continue to emphasize food security in its annual No. 1 Document, which this year made clear that “China should take good control of its own bowl,” by “intensifying support and protection for [domestic] agriculture.” There are three parts to China’s food security policy: 1) invest in modern agricultural practices and grain storage capacity; 2) develop local GMO varietals to increase crop yields; and 3) protect local grain farmers. Through investments in modern agricultural practices, total corn production in China hasrisen rapidly from 165 to 205 million metric tons, a near a 25% increase from 2008 to 2012. China has also built an enormous network of modern computerized grain storage facilities, with nearly 300 million metric tons of storage available. China was a net corn exporter from 2002 to 2006. China knows GMO technology is critical to increasing crop yields, so investment in GMO technology has surged, despite public fears over negative health effects. Chinese officials are wary of becoming overly reliant on genetically modified seeds from the Western world. Within the last six months eight Chinese Americans and nationals have been arrested on accusations of corporate espionage and theft of American seeds. MIR-162 grain imports may not be allowed into China, but China desperately wants access to the technology that produced the MIR-162 strain. With lower input costs and better technology, world corn prices have been lower than China’s domestic corn prices for years. For this reason, Chinese companies have imported significant amounts of corn. The easiest way for China to protect local farmers is to force the purchasing of Chinese corn by limiting the amount of foreign corn that enters the Chinese market. Protection for local farmers, fear of reliance on foreign GMOs, and investments in agriculture are all part of China’s broader food security strategy. Banning U.S. corn for food security reasons is probably as strong an argument for why China banned U.S. corn as punishment for worsening relations. With Sino-U.S. relations still very poor, another record corn crop this year in China, as well as Ukrainian, Brazilian, and Argentinian corn imports approved, no matter which reason you favor for the ban on American corn products, there is little reason to believe China will lift that import ban any time soon Every day it becomes more likely that only a significant and public response from the United States government, or litigation in the World Trade Organization, will open China back up to US corn product imports. Lucas Blaustein is the Container/Feed Ingredient Sales and Marketing Manager for CGB Enterprises. He has a Masters of Agribusiness degree from Texas A&M, and a Bachelors of Economics and Chinese Studies from the University of Houston. Lucas has worked in business and academia domestically and in China with major agribusiness companies like PepsiCo and John Deere and he is fluent in spoken and written Mandarin. Legislation introduced Thursday in Congress would use federal funding to test whether 100 percent container scanning is feasible at two U.S. ports. If the bill becomes law, ports would apply for the program, and two chosen ports would receive inspection technology from the federal government. The results of the pilot would be shared with Congress and DHS. In the wake of the 9/11 attacks, Congress passed the SAFE Port Act, requiring that all U.S-bound containers are scanned at ports of origin before being allowed into the U.S. DHS has repeatedly told Congress that the approach isn’t the best or most cost-effective way to protect U.S. ports from attacks. The equipment to scan containers for explosives and other toxic goods “cannot be purchased, deployed or operated at ports overseas because ports do not have the physical characteristics to install such systems,” DHS Secretary Jeh Johnson wrote to Congress in May. The better approach, Johnson said, was targeting high-risk cargo. Through the agency’s Container Security Initiative and the Secure Freight Initiative, 85 percent of cargo deemed high-risk is scanned at foreign ports before being loaded onto vessels. The World Shipping Council and the National Retail Federation argue that the implementation of mandate would increase the cost of shipping but deliver little to no benefit. There is also the challenge of convincing foreign countries to give up their sovereignty to allow technology scanning equipment at their ports. Drewry’s Container Annual Review & Forecast 2014/15 emphasizes that the recovery of the container industry, when that happens – possibly by late 2016 or 2017 – is to be based around the formation of the new mega alliances and the continued reduction of unit costs, rather than the matching of supply and demand at the individual trade route level. A different recovery is taking shape, which is unlikely to be built on any improvement in freight rates. An orderbook that will see at least 53 and 45 ULCVs delivered in 2015 and 2016 respectively, coupled with the delivery of 100 ships of between 8,000 teu and 10,000 teu from the yards at the same time as a similar number of ships being cascaded from the Asia-north Europe trade - will mean both reductions in unit costs and the potential for excess capacity on some routes. Drewry forecasts that freight rates will decline in 2015 by as much as 3-4% year-on-year. The focus is therefore more on costs than revenue at the moment and this focus is starting to yield results for carriers and their shareholders. Drewry’s Container Annual Review & Forecast 2014/15 identified three new trends: carrier revenue is increasing again (due to more rapid growth), costs are falling faster than rates, some carriers are coming out of the red. To clarify - even though unit revenues are down by an estimated 4% year-on-year for the first six months of this year, the positive is that unit costs have been reduced by 6%. The formation of the new alliances in the next 3-6 months will hopefully help a number of carriers reduce their cost base further, but Asia to North Europe spot rates have fallen 54% since the beginning of August to around $1,300 per feu. Neil Dekker, Drewry’s director of container research, added: “The possibility of matching supply and demand to a degree acceptable for carriers in 2015, especially at the critical trade route level and in key North-South trades is probably out of reach. The strategy of course is to drive down unit costs, but this will not necessarily result in considerably better utilization (since all lines upgrading), nor in freight rates. In a separate development, Drewry’s Container Annual Review & Forecast 2014/15, a market intelligence forecast provided to carriers, shippers, banks, ports and investors for 14 years, has introduced an innovative “traffic light” system to summarize key trends in revenues, costs and volumes for the container shipping industry. As summer rolls into fall many of us are looking forward to the upcoming holiday season to close out the year and the promises that every New Year holds. As business owners, executives and leaders we must also take this time to look back to what has worked in 2014 and what needs to be improved in 2015. According to Noel Perry with FTR Transportation Intelligence, capacity utilization in the US will reach 99 percent during 2014, levels which have not been seen since the robust economy of 2004. With increased demand, less capacity, chronic driver shortages, and increased regulatory burdens, add the announcement that many major carriers are going to dimensional weight pricing in January, 2015 could result in significant rate increases. Experience counts. Name recognition does not always mean the best quality. A business should look beyond this and search out a provider who services their precise needs. Whether that is specific industry expertise, regional specialization, or if going to a foreign market specific country and customs processes. Asset or Non-Asset Based Provider. 86 percent of Fortune 500 organizations utilize a 3PL provider for logistics and supply chain needs. A recent study found that organizations can reduce logistic cost by 11 percent, inventory cost by 6 percent, and an average fixed logistics cost reduction of 23 percent using third-party services. Scope of Service. The wrong provider with limited experience or services may not meet your organization needs. Understanding your partner’s scope of services is crucial to ensuring that they meet your needs and that you are not paying for services you do not need. Understanding Freight Cost. Understanding your freight cost can help you control them. Freight classifications are reviewed annually by the NMFTA. Freight may travel in a different class next year affecting price. Many accessorial charges can be controlled through better internal process or negotiation. There are many options available to business’s interested in reducing cost, but understanding which options are beneficial can be time consuming. Understanding the above can help you navigate your 2015 budget and can put your business on track to transportation cost reductions. Russia, also officially known as the Russian Federation, is a federal semi-presidential republic. At 6,592,800 sq mi, Russia is the largest country in the world, covering more than one-eighth of the Earth's inhabited land area. Russia is also the world's ninth most populous nation with 144 million people as of 2014. Extending across the entirety of northern Asia and much of Eastern Europe, Russia spans nine time zones and incorporates a wide range of environments and landforms. The nation's history began with that of the East Slavs, who emerged as a recognizable group in Europe between the 3rd and 8th centuries AD. The medieval state of Rus arose in the 9th century, but ultimately disintegrated into a number of smaller states. The Grand Duchy of Moscow gradually reunified the surrounding Russian principalities. By the 18th century, the nation had greatly expanded through conquest, annexation, and exploration to become the Russian Empire, which was the third largest empire in history. Following the Russian Revolution, the Russian Soviet Federative Socialist Republic became the largest and leading constituent of the Soviet Union, the world's first constitutionally socialist state and a recognized superpower. The Russian economy ranks as the ninth largest by nominal GDP and sixth largest by purchasing power parity in 2014. Russia's extensive mineral and energy resources, the largest reserves in the world, have made it one of the largest producers of oil and natural gas globally. The country is one of the five recognized nuclear weapons states and possesses the largest stockpile of weapons of mass destruction; it is also a permanent member of the United Nations Security Council, a member of the G20, the Council of Europe, the Asia-Pacific Economic Cooperation, the Shanghai Cooperation Organization, the Eurasian Economic Community, the Organization for Security and Cooperation in Europe (OSCE), and the World Trade Organization (WTO), as well as being the leading member of the Commonwealth of Independent States. In response to the Crimean Crisis and the subsequent annexation of Crimea by the Russian Federation, some governments, led by the United States and European Union, imposed sanctions on Russian individuals and businesses. As the unrest expanded into other parts of southern and eastern Ukraine, and later escalated into the ongoing war in the Donbass region, the scope of the sanctions increased. The Russian government responded in kind, with sanctions against some Canadian and American individuals. Purolator International announces the appointment of Jakub Kowalczyk as Branch Sales Manager for the Minneapolis/Twin Cities region, replacing John Wilson who was promoted to Southeast District Manager in Atlanta Ga. Mr. Kowalczyk will be responsible for generating new sales as well as providing support for existing customers in the region. Mr. Kowalczyk brings nearly 15 years of sales and management experience working with manufacturing and logistics companies. Most recently, Mr. Kowalczyk worked for Randstad, and was responsible for selling staffing services exclusively to manufacturing and logistics companies with revenues in excess of $10 million. Prior to that, he was in a sales position for Paychex. Mr. Kowalczyk also spent more than 10 years with UPS in direct sales and management. During his tenure, Kowalczyk managed five business units, helped develop sales strategies, and achieved 150 percent of his sales and retention goals. Mr. Kowalczyk earned his B.A. in Science Marketing from the University of South Florida. As a long-time resident of Tampa, he was active member of his community and belonged to the Bay Area Rugby Football Krewe and the Spirit of Cigar City Krewe. Kowalczyk is also a USF Alumni Association Lifetime Member and the Alumni Board of Trusties (ABT) President for Delta Chi Fraternity at USF. After living in Florida, Mr. Kowalczyk moved to St. Paul where enjoys being surrounded by his family and friends, spending time outdoors and traveling. Todd Vollmers is an attorney with Minneapolis business law firm Thompson Hall Santi Cerny & Dooley. Todd has extensive international and business experience working in the private sector and in government, and previously served as General Counsel for a private equity firm with offices in Minneapolis and Shanghai. Prior to that Todd served as a Senior Administrative Officer at the Minnesota Department of Commerce, handling priority issues for the Commerce Commissioner. Todd also worked as an attorney in the Office of General Counsel at the U.S. Department of Commerce in Washington, D.C., where he managed legal issues related to U.S. government advocacy on behalf of U.S. companies with foreign governments, and foreign trade obligations arising under the World Trade Organization (WTO) and North American Free Trade Agreement (NAFTA). He holds a Certificate in Chinese Business Law from Fudan University Law School, Shanghai, a Master of International Policy and Practice degree focusing on International Trade and Economics from The George Washington University, Washington, D.C., a Juris Doctor from the University of Minnesota Law School, and a Bachelor of Arts in Political Science from the University of Minnesota. He is licensed to practice law in Minnesota, the District of Columbia, and Florida. The Communications Committee Needs You! The Communications Committee of the MGTA is looking for one or two more members to produce original content for our newsletters. If you would like to know what being a member of the Communications Committee entails, please feel free to contact our Communications Committee Chair, Thierry Ajas, directly. Thierry’s e-mail address is: thierry.ajas@randstadusa.com.